The kind of time commitment that your child’s sport or hobby participation demands can be very pressing. With managing work life, domestic responsibilities and running around to practices and games, you hardly get any to catch a breath, let alone exercising. While you cannot add more hours to your day, you definitely can make the most of the hours you have. Your body needs exercise, and you will have to fit it in your schedule whenever you can. Here are some workout suggestions that you can do while you wait-up for your child’s soccer practice or piano classes. 1. 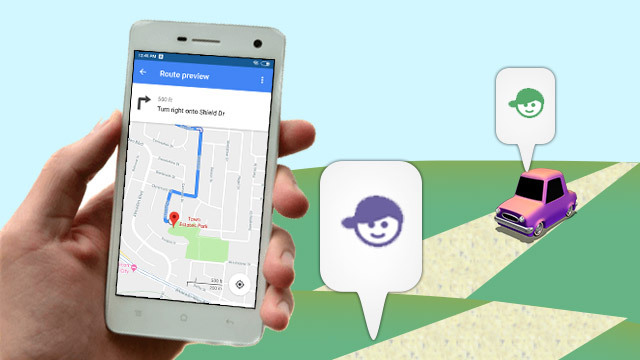 Walk – If you are a sports parent and you are waiting at the stadium or ground that has access to open space good for a walk, grab the opportunity. Do brisk walking. If you are walking at a regular pace, you can burn over 400 calories, which is actually a very good use of your free time. You can also do this with someone who is waiting up too, but if the conversation slows you down, try doing it on your own. 2. If your child is in hobby classes and you do not have access to open field or track, look around for what you can use. If there is space enough for jump rope and stretches, carry along your jump rope and terra band. Look up for exercises that can be done using the jump rope and terra band. Make a schedule, dedicate a day for upper body, a day for lower body, one for core, one for abs and so on. Making a schedule will ensure your full body gets exercise and also your workout does not get monotonous. 3. Some days you can choose to take it easy, but even on such days you should stand and move back and forth or maybe take walk slowly around. Sitting al lot makes your body use less energy than while standing or moving. Research has shown that long periods of sitting are related to a number of health problems including obesity, increased blood pressure, high blood sugar, excess body fat around the waist and other conditions that may occur from low metabolism. Slow walk or even a little movement helps keep the body using up energy thus accelerating your metabolism resulting in improved health. Some movement is always better than none. 4. Always try and wear sports shoes to the practice or classes. It will be relaxing on your feet and will help in exercising. If you are coming from work, carry a pair of shoes in the trunk of your car. 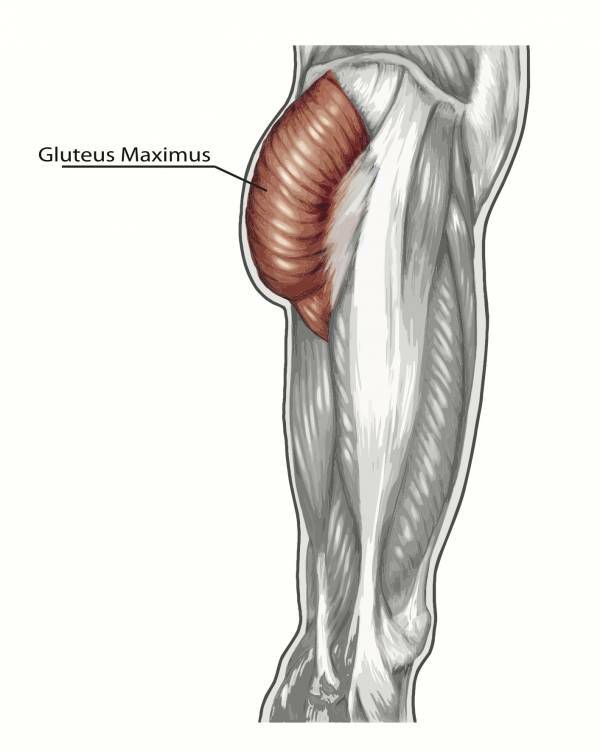 · SEATED LEG LIFTS – Sit upright in your chair. Stretch one leg, straighten it and raise it to bring it parallel to the ground. Now bring it down and raise it again. Repeat to the count of 10, then change the leg and do the same. 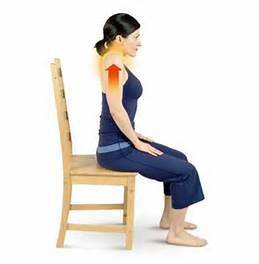 · SEATED HIP BRIDGE – Sit upright. Squeeze your glutes together as tight as possible, hold till the count of ten, then release them. Repeat 10-15 times. · SHRUG – Move your shoulders as close as you can to your ears, hold for a moment then drop. Repeat 10-15 times. · ANKLE ROTATION – Rotate your ankle clockwise and anti-clockwise. · ARM STRECHES – Stretch your right arm towards the left. Hold your right elbow in the crook of your left elbow, stretch and hold it there for 15-20 seconds. Repeat with your next arm. · CALF RAISES – Stand straight. Get on your toes, hold for a moment, come down. Start by doing 20-30 of these and gradually increase the count. · WALL SQUATS – Stand with your back kneeling on a wall. Now slowly move forward as you bend your legs from the knee. Bring your thighs parallel to the ground with your knees in 90-degree angle, like in a sitting position without the chair. · MARCH IN PLACE – This quick cardio will pump up your heart and get your metabolism also running. There’s so much more that can be done. Be sure you do consult your physician if you have a medical condition or if you have pains or any other symptoms. In America, sports have been the integral part of almost (well, mostly) every child’s growing up. The benefits of joining team sports are far reached, and informed parents get enthusiastic about their child leaning, playing and growing with sports. According to statistics, every year close twenty million kids in America, in the age group of 6-16 sign up for spring sports. For those of you who are doing this for the very first time, here are some tips to help you prepare your child for spring sports and get her started. 1. 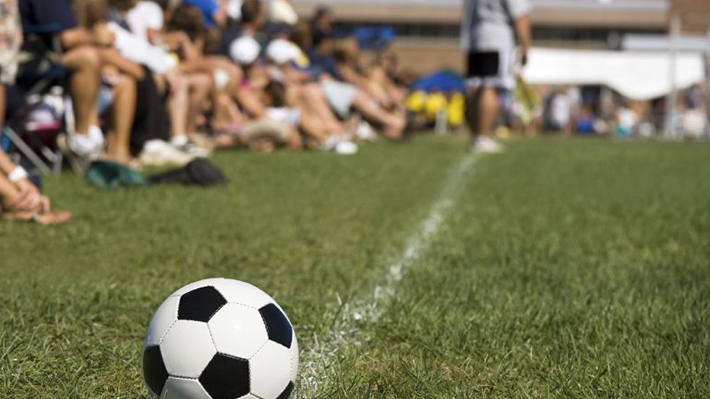 Start with soccer – If your child is enrolling for the first time, it would be good idea to start with soccer. It’s perfect for toddlers as the game is simple and involves movement of the lower body; functionally speaking kicking is easier than lifting the ball and throwing it up. 2. It’s a game – Remember that always. Don’t get into competition mode instantly. Let the child have fun first. When your child comes back from the practice, the first question you should ask is, “did you have fun?”, instead of, “did you win?”. 3. Let the child decide – Give your child the right exposure. Let her try different sports if she wants to, and let her choose your own path. How much ever tempted you might feel, don’t impose what you think would be right. Neither do expect the child to fulfill your dreams. If you had to leave baseball after high school, do not expect the child to continue for you. Let her live her own dreams. 4. Do not overwhelm the child with too much of sports – Do not enroll your child in any more than two sports at a given time. Although one sport is the ideal, but if you feel the need, not more than two in one go. Also, match the time requirements with your schedule. If the child has to withdraw because of scheduling conflicts, it will be huge setback for her. 5. 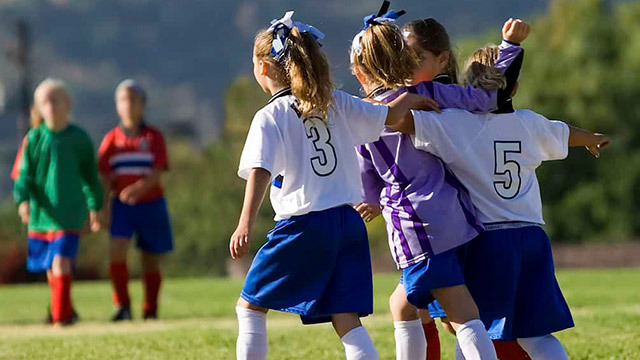 Encourage the child to talk about the game – Rather than battering the child with suggestions and ‘you should have done this’ kind of coaching-from-the-stands, let your child say how she felt about the game, or about her friends or anything she wants to talk about. Let her do the talking, and then gently join in the conversation telling her parts that you thought were fun. Show that you are interested and you care. If your child is grown up, in her tweens or teens, there might be times she would not like to talk about the game, respect it, and give her the space. 6. Teach your child to lose gracefully – We are usually so obsessed with winning that we forget losing is good too. It helps us understand our weakness, and build upon it. Do not make a big deal out of a game lost. Rather say, “proud you tried real-hard”, or “that was some really good game there”. Kids can sometimes take the whole blame of the team losing on their heads and that burden can really weigh them down. Do not put added pressure by showing your disappointment. 7. Remember you are a role model – Stay calm during the game. Do not rub your work disappointments, your relationship struggles onto your kid. The behavior you exhibit, is the behavior you can expect. 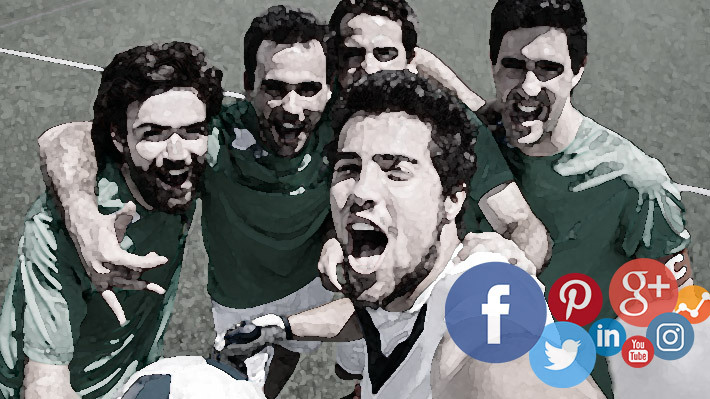 For college selections coaches scout on social media. 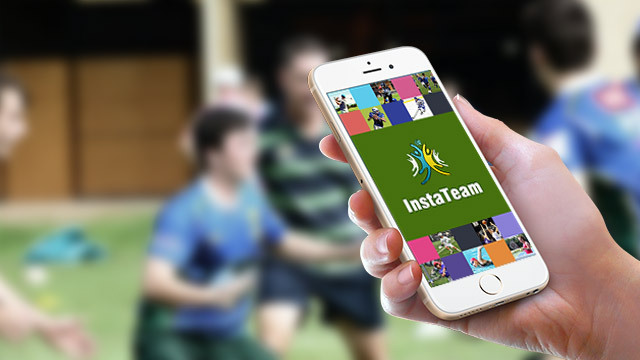 Having an athletic profile on social media would definitely help your child get noticed. Once the kid is in junior high, you should create a social media profile for her, typically a FB page with Instagram and Twitter to boost it. Here are a few tips to help you build a profile that gets noticed and helps get your kid in the right team and of course, the right college. Remember the social media profile is for colleges and coaches. Never post objectionable stuff. Team fun is good, it might get you a lot of likes and boost your profile, but making fun of someone, publicly condemning a team action, and anything that might seem inappropriate on your college application, would be inappropriate on your athletic profile too. You wouldn’t want your friends to post something embarrassing that is visible publicly. Tweak default settings to control what shows up on your page. Here’s how you can do it – go to Facebook “Settings”, click “Timeline and Tagging”, on the option “Review posts you’re tagged in before the post appears on your timeline?”, click “Enabled”. Make a list of the colleges you are going to target. Follow those colleges/teams. Like their posts. Be there. Make sure you highlight your achievements. Also highlight your personal examples/stories of great teamwork, leadership and motivation. Don’t let your social media page become a reflection of the narcissist you. Talk about the team, with your achievements being highlighted. Be humble and thank your coach and the team every time you achieve something exceptional. Arrogance will not really get you a place in the team. Make personal goals for sport-specific skills. 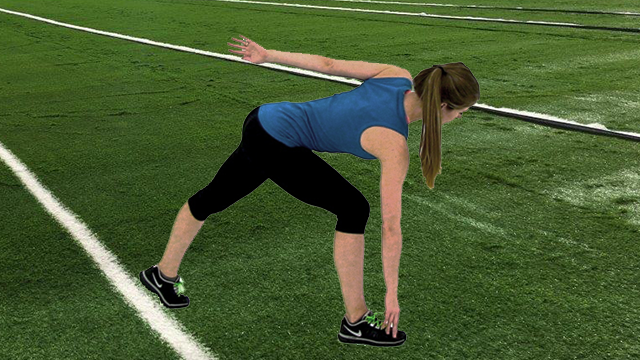 For instance, if you are playing football, running can be an essential skill. Time your running. Make a goal that betters it. Work towards that goal and post when you achieve it. Get it timed by your coach or someone professional. This works both ways. While you better your skills, you also show that you are focused and hard-working. Try and get connected to people who can be an asset to the profile. Also, have references on your page. Adds credibility. 8. Be consistent and frequent. Sports parenting can be challenging and demanding. You need to commit extra of everything – extra time, extra expenses, extra effort, and not to mention extra care about diet, exercise, routine, health, studies everything. But you have to admit, it does bring you that extra bit of joy. It’s something to see your little one play, compete and of course win. But here’s the thing, as a parent you shouldn’t get too possessed with the child’s sporting activity. Being over involved or obsessing over a sports career or college scholarship will just make it more taxing for you. While there needs to be some sort of justification to the ‘extra’ bit you are doing, especially on the finances front, and it’s understandable if you get frustrated, but frustration, pressure or obsession will not work. It might rather do more damage than good. If you are keen on providing a great sporting exposure to your child, a positive frame of mind and giving a freehand will do the magic. And it’s all the more important for you too. Here are a few points that will help you focus on the positives of sports parenting. 1. Enjoy the bit that your child is playing, not the bit that she is winning. Kids playing sports are more disciplined and develop inherent character traits that you cannot necessarily otherwise imbibe in kids. 2. There’s a beautiful definition of success – ‘if you are happy, you are successful’. Don’t be bothered by other parents who flaunt their child’s achievements. It’s shallow. Focus on happiness and learning instead. That is what will make your child have a natural flare in whatever she chooses to do. Your child will be happy, nothing else matters. 3. Don’t focus on winning, focus on life instead. 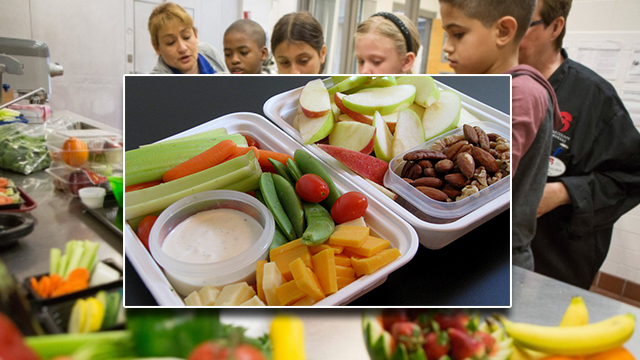 Is your child becoming a better person? Is she learning empathy, kindness and teamwork? Is she getting mature enough to be able to take her victories humbly and losses gracefully? Is she learning the value of hard-work? Those are the things that will make your little one a winner in life, and that’s where your focus should be. 4. Show respect to the coaches. For one, they are doing a part of your job by teaching her life skills that will help in making her the person she becomes. 5. Don’t try and become the coach yourself. Spare yourself the effort and the energy. It’s the coaches’ job and they’ll do it. Trust. 6. Socialize with other sports parents. It’s good to have a support group. Discourage competitiveness amongst parents. 7. Do not criticize other kids, ever. It just brings in negativity you wouldn’t want to deal with. 8. Don’t forget yourself in the madness of game practices, packing lunches, driving down, volunteering etc. If it’s getting too much, say a no. It’s okay once in a while. Keep calm and happy parenting!